Google has rolled out a new update to their Gmail service this week which has added a great new feature, that now allows you to add Google Calendar events directly from within Gmail emails. Now event dates that are underlined within Gmail emails can quickly and easily be added to your Google Calendar. 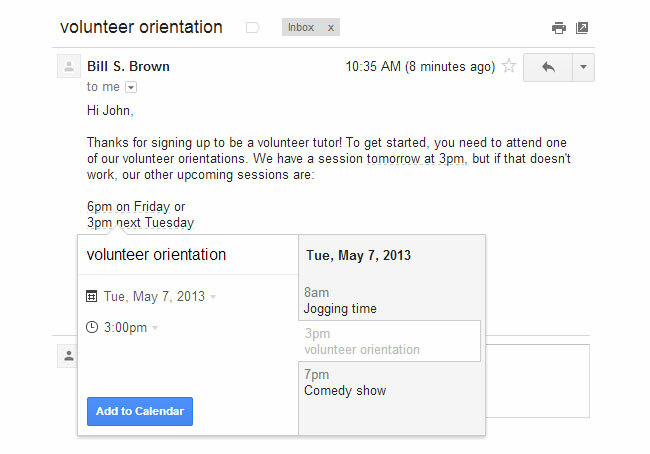 “If you do a lot of scheduling over email, it’s now a little bit easier to create events directly from your Gmail. Starting today, dates and times within emails are lightly underlined: click them to schedule that conference call or lunch date without ever leaving Gmail. Google is rolling out the new Gmail feature over the next week to everyone with the English (US) language, so be patient if it hasn’t already landed in your account.